Atlanta-based Crawford Media Services is using Quantum Lattus object storage to build a content repository that supports mass migration of its clients’ legacy content to digital formats and provides ongoing media storage and management. 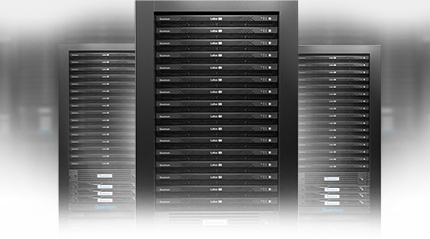 Designed to hold an initial 1.2 petabytes of archived assets as well as content ingested during new projects, the system gives Crawford Media a sophisticated storage infrastructure that cost-effectively accommodates ongoing expansion of the company’s services and customer base. According to Davis, a key factor in his selection of Lattus was the level of robustness, availability and immunity to failure it provided, which he saw as “impossible to achieve with simple replication.” Lattus’ self-healing and self-migration capabilities preserve the integrity of media files, and it offers seamless, infinite incremental scaling with no downtime. Along with Lattus, Crawford Media deployed Quantum’s Artico archive appliance, which incorporates Quantum’s StorNext data management to move content to and from Lattus automatically while maintaining full access to the files. In addition, StorNext enables the company to write to tape for its clients. In short, Quantum’s integrated, multi-tier storage solution enables Crawford Media to capitalize more easily and cost-effectively on new revenue-generation opportunities.